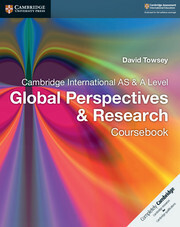 This series supports students studying for Cambridge International AS & A Level Global Perspectives & Research (9239), for first examination from 2016. 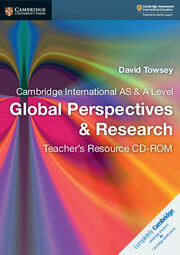 The series helps students and teachers understand the learning process of the Critical Path and navigate through each step via exploration of international topics, such as climate change, the impact of the internet and gender issues. This helps develop students' ability to think critically and consider alternative viewpoints in preparation for further study and employment. 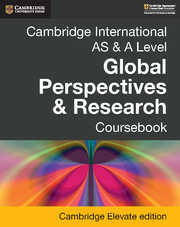 With exam-style questions, opportunities for group discussion and personal reflection, the series provides structure through a skills-based syllabus, while helping build important life skills.